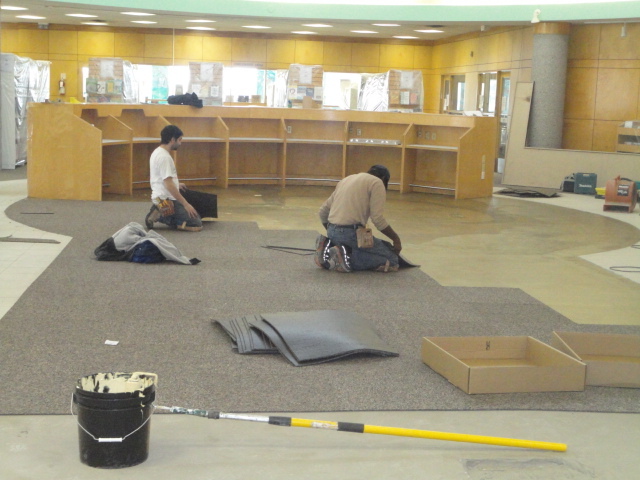 Ansley Grove Library‘s renovation is well underway. The library will re-open on March 26 at 1 p.m. and we would like to invite everyone to join us for cake and refreshments in celebration of this exciting time. 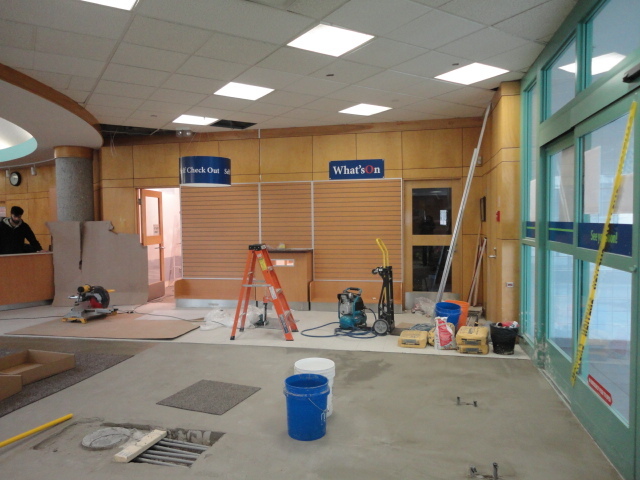 Check out a few pictures of the renovation in action. 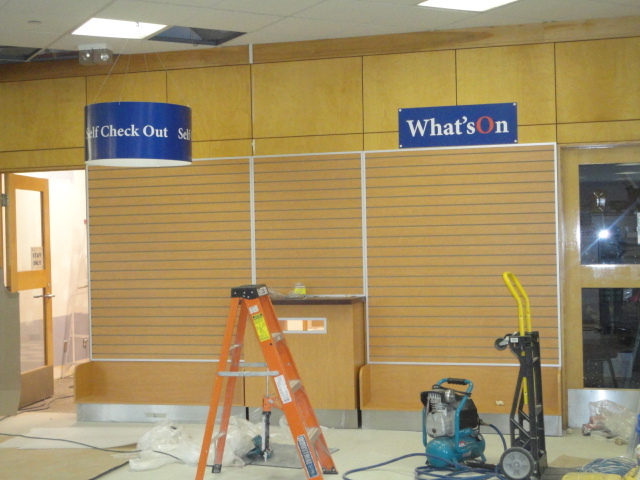 Come to the library and see the finished look yourself on March 26! The Ansley Grove Library, located at 350 Ansley Grove Road will be closed for renovations from March 17 to 25, and will reopen on March 26 at 1 p.m. The renovations include amalgamating the two Service Desks into one, moving the self check out station to a prominent location, replacing the old carpet with a new one and adding new furniture for better display of library materials for customer convenience. During the closure, customers may return library materials to any branch of Vaughan Public Libraries (VPL). The closest branch is Pierre Berton Resource Library located at 4921 Rutherford Road. Customers may also renew their items online at www.vaughanpl.info. Holds can be picked up at Pierre Berton Resource Library or deactivated online by accessing your library account. For assistance on how to deactivate your holds, please contact the Service Desk. Funding for this project is supported by the Community Infrastructure Improvement Fund and The City of Vaughan.